Save the day, wreck someone’s day… they’re almost the same thing, right? Right. Q4tLiz: Why are we wasting time on Azerite, when chairs can be used to create indestructible armor, walls, shields? 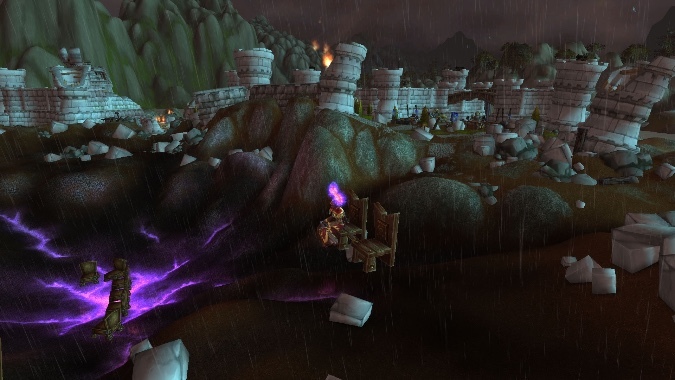 Chairs survived the fall of Theramore, and the destruction of Brill. Chairs are strong, yes, but do they have magical powers? Even occasionally useless magical powers? No! No, they do not. Do they offer bonuses to intellect or strength? Again, no. Chairs are cursed to simply be chairs. It is a sad existence, to forever be indestructible furniture. And while chairs certainly seem to have protective power, they simply won’t have the explosive powers Azerite weapons do. You know as well as I do that our primary role in Azerothian society is to kill things real good, and sometimes that involves blowing them up. Azerite — with the help of some engineers — gets the job done in a way chairs just can’t. Would KT and Zandalari have been better utilized as primary expansion races? These really should have been in the game at launch. Having the expansion so thoroughly themed around making friends with the Kul Tirans and Zandalari, then making friends with the Kul Tirans and Zandalari, then six months later we’re actually good enough friends with them to be able to play as them ourselves? The pacing of the whole thing felt odd, and while Mag’har Orcs and Dark Iron Dwarves are both interesting races, neither had anything thematically related to the expansion, so recruiting them was more of a shrug moment. 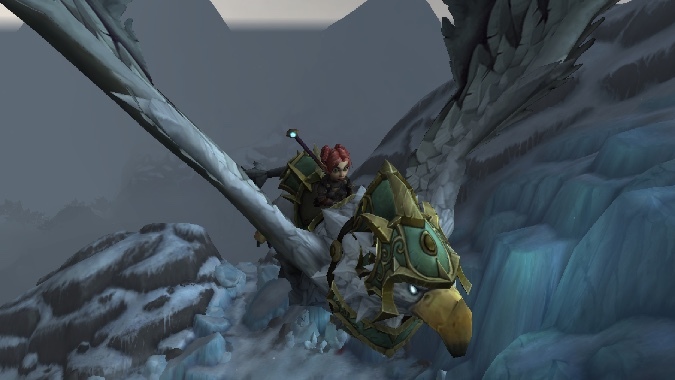 Q4TQ: Who’s you’re favorite new NPC in BfA? I’m going with Bwonsamdi. He has a good story on the Horde side and the first time that I died on my Alliance main and saw him making fun of me I knew I loved him! A close second is that creepy little girl in Drustvar! “Our poor little village is dead. Battle for Azeroth has had its annoyances, but it’s had some great character moments — to the point where it’s tough to pick just one. If you twisted my arm, though, I’d agree that Bwonsamdi has been the best of the best. He has a unique voice in the world of Azeroth, and his presence permeates the whole expansion. Barring that, Talanji, who is the very vision of power and grace. From that opening scene on the ship to the latest cinematic of her with her father… wow. She’s incredible. Oh. And this guy. This guy may actually be the top of the list. 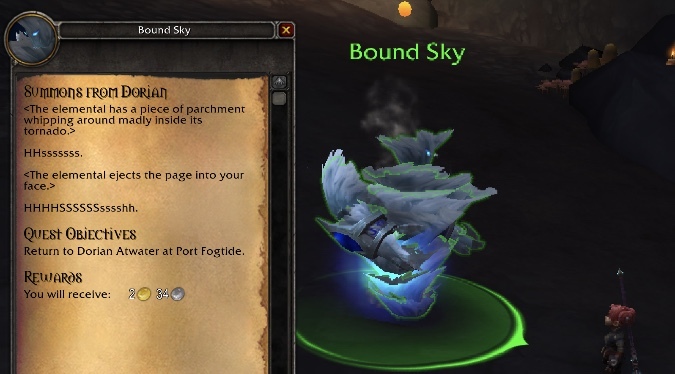 Is there already more Naga activity ingame on the BfA continents, as stated by the new war campaign part? What class should I level to 120 next? On Alliance I have only my main (void elf shadow priest) and am wondering which to do next. There are some Naga-related world quests that are new, and I’ve seen reports that there’s more rain, particularly in zones where it doesn’t usually rain. I don’t know if that’s actually Azshara — does she control the rain? are tentacles going to start falling from the sky? — but it is unusual and it is something new. And while I can’t tell you what would be fun for you to play, I’ll say that I am (slowly) leveling a bear Druid. I’ve been told that to become a better healer, I should learn to tank, and here I am. We’ll see if it lasts. Q4tQ: What are your predictions for the 8.2 raid? You can’t tell me that you wouldn’t enjoy seeing this play out in WoW. You just can’t. Hearthstone doesn’t have a lot of voice lines per character, but it crams a lot into each of them — particularly that initial line when you play a card. With just a tiny bit of dialog you have this sense of a darker version of Anduin, who feels that the Light is no longer the answer, and is ready to watch the world burn to reach his goals. Perhaps his feelings on the Light could have been swayed by Uther of the Ebon Blade (6:25 in the video). It may not be a good story direction, but damn it would be entertaining. I’m probably too late but, Q4TQ: I race changed my 120 void elf lock to a gnome, how much will I regret this? Also how much better is goblin heritage armor going to be then gnome? My very first World of Warcraft character was a Gnome Warlock, and while I know you have misgivings, I think it is the perfect race/class combination. Gnomes are tiny and precious, with a constant look of wide-eyed innocence and chipper voices. They’re good natured and seemingly harmless. They’re easy to write off. And that gives Gnomes a significant tactical advantage. There’s no better way to put your enemies off guard than to convince them you aren’t a threat. This is particularly true for Warlocks, who have something of a reputation for being slightly evil. If you were any other race, any race at all, people would be wary of you. But as a Gnome? No one will ever see you coming. P.s. welcome to the family. We really are pretty good-natured, but that doesn’t mean we can’t throw a punch (or a shadowbolt). If someone was going to run a D&D game for a bunch of Blizzard Watch writers, should he try and adapt Warcraft to D&D or run a whole new campaign? Huh, I don’t know why anyone would be thinking about doing that. But if so… well, don’t we already play Warcraft all the time? It seems like doing something different is the point. And that’s all for now, my friends. Please do leave questions below for whichever mystery Queue writer appears tomorrow. All I know for sure is that it won’t be Adam, so until then, you may all enjoy playing guess-the-Queue, which is a real game that I absolutely did not just make up.